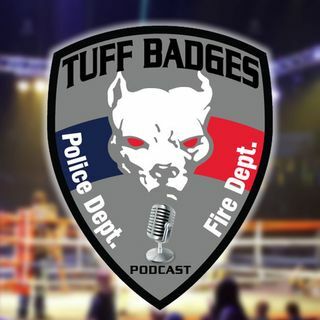 TUFF Badges Podcast provides boxing and Battle of the Badges information and discussions every Thursday at 7pm Central Time for the fans by Dennis Wall aka "DW". Our show features weekly guests including up and coming stars and the pound for pound number ones in the game as well as sponsors, ring girls, fans and everything Battle of the Badges. Listen up! We are here. "DW" is the new voice of Police vs Fireman boxing! The Official Battle of the Badges Podcast Radio Show!